The Fondo Quisqueya Foundation ("Fondo Q'" or "FQ"), is a small (501(c) (3) non-profit that provides low income Dominicans in the Dominican Republic ("DR") with scholarships and grants for educational and training purposes designed to assist them in bettering their lives and to help them attain personal development, skills, and advancement. 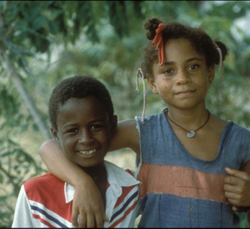 Formed in 1987 by ex-Peace Corps Volunteers ("PCVs") and staff who served in the DR, Fondo Q is supported by ex-PCVs and staff, and other friends of the DR, through donations and in-kind support. FQ has no paid staff. Profile on a Lou Ferrand Scholarship Fund recipient Oscar Pablo Sánchez. Oscar is a true leader of his community and has lead several housing projects in his community and the surrounding areas through the foundation he founded. This was where his dream came from to be an architect. He is also running for mayor of his municipality in hopes to change the political scene and focus on the needs of the people. This year Oscar won the highest award from Ministerio de Juventud, which will now cover his tuition and Fondo Q will continue to support his transportation, books and materials. 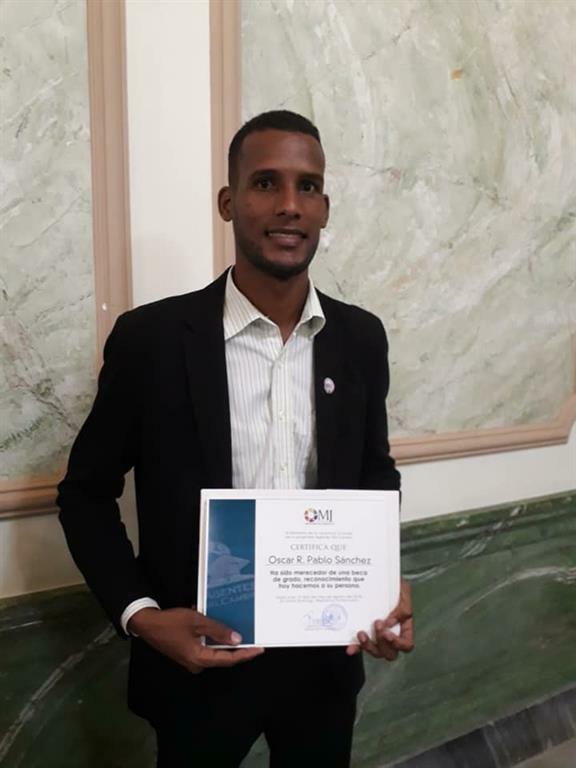 Enjoy the video above (click on photo) to learn more about Fondo Quisqueya's partnership with the Instituto Técnico Superior Comunitario, assisting low-income Dominicans with the costs of transportation so that they may pursue their vocational dreams at the community college.